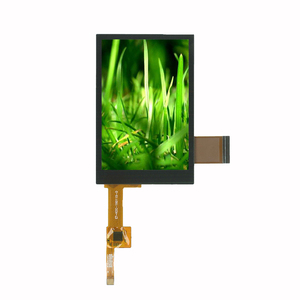 8 YRS Shenzhen Startek Electronic Technology Co., Ltd.
Fair Activity Company overview Shenzhen DN-Micro Electronics Co., Ltd. is a high-tech enterprise specialized in the R&D, production, sales and services of TFT LCD displays and modules. MASS ORDER 3 0% T/T as deposit in advance,the balance will be paid before shipping,we can't accept paypal. Customization is greatly welcomed We can customize as per your detailed requirements. we will reply you without delay. Let us many years of design and manfacturing capabilities benefit you. 6 YRS Guangdong Touchkit Photoelectric Technology Co., Ltd.
Our team will do our best to solve the problem for the customer. 2)Dedicated and professional sales team will offer you 24hours online and immediate service. 3)When finish the shipment, we will follow it. 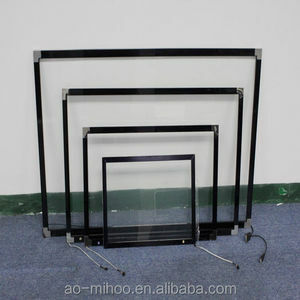 2.We can open customers own mold for you. 3.We can offer high quality product & reasionable price for you. 4.We can offer a good after-sale service for you. Quantity &lt; 500pcs, goods will be delivery against received payment 3 ~ 5 days. We offer high quality products and the best after-sales services to clients. We have set up a scientific research department, a management department and a production department. is located in Shenzhen city and commits to HMI (Human-Machine interaction) solutions, which is a high-tech company integrating products design, research, manufacturing, sales and services. 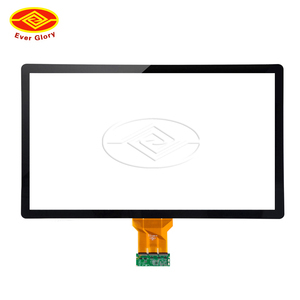 Chuangli mainly provides intelligent products such as Open Frame Touch Screen Monitor, Touch All In One PC, Touch Kiosk, Touch Panel and etc. Now all the products have passed CCC, CE, FCC and RoHs authentication, then the product quality can be guaranteed. The surface capacitive touch screen manufactured by Groovy Technology Corporation utilizes the ITO (Indium Tin Oxide) at the touch screen surface to achieve a change in electrical current upon contact with the human body. Advantages: 1. Highly transparent with a transmittance of 95%~99% 2. Tempered glass with a scratch hardness of 7H: the Vandal-Proof structure makes the product more suitable for systems in public places. 4. The extremely high transmittance (up to 99%) and 7H of scratch hardness, coupled with water and dust resistant surface design makes the product best suited for general public applications. Vandal-proof Capacitive Touch Screen with 6mm Tempered Glass LCD Monitor 15"
LeadingTouch offers the largest selection of touch screen technologies and LCD touch monitors and carefully designs each product for the demanding requirements of diverse applications, such as Industrial, Medical, POS, Kiosks, Retail, Hospital, Transportation, Office Automation, and Gaming. Packing & Delivery Q:When need calibration again9 1. Touchscreen is over stress 2. There is water or comtamination on touchscreen surface 3. 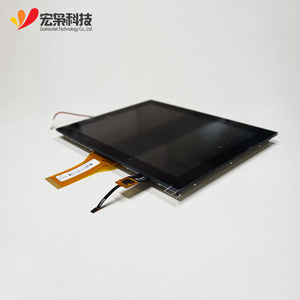 Touchscreen GND is not in good condition or there is signal interference. Q: Response time is too long9 1. Please check if there is floating water on touchscreen and wipe it. 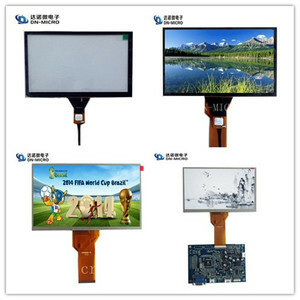 2 YRS Shenzhen City Feirun Electronic Technology Co., Ltd.
Alibaba.com offers 226,242 capacitive touch screen products. 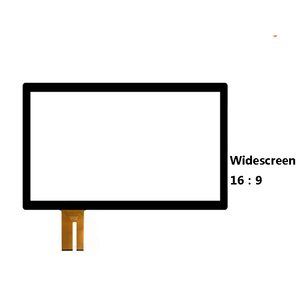 About 26% of these are touch screen monitors, 18% are tablet pc, and 4% are lcd modules. 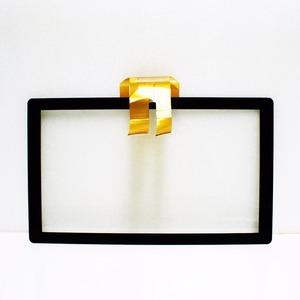 A wide variety of capacitive touch screen options are available to you, such as paid samples, free samples. 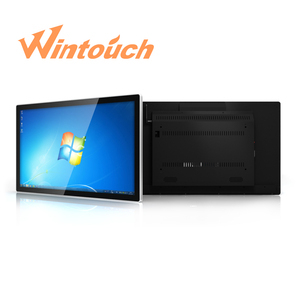 There are 226,242 capacitive touch screen suppliers, mainly located in Asia. 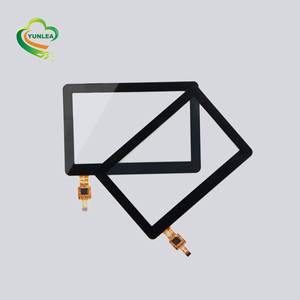 The top supplying country is China (Mainland), which supply 100% of capacitive touch screen respectively. 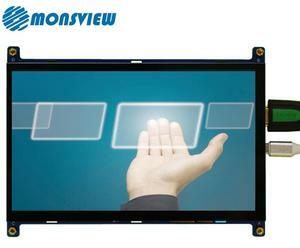 Capacitive touch screen products are most popular in North America, Western Europe, and South America. You can ensure product safety by selecting from certified suppliers, including 48,412 with ISO9001, 19,713 with Other, and 11,347 with ISO14001 certification.